Home » insects » Fall armyworm on the march! By osuwheat in insects, Tom Royer on October 6, 2014 . What do you recommend for treatment and timing? 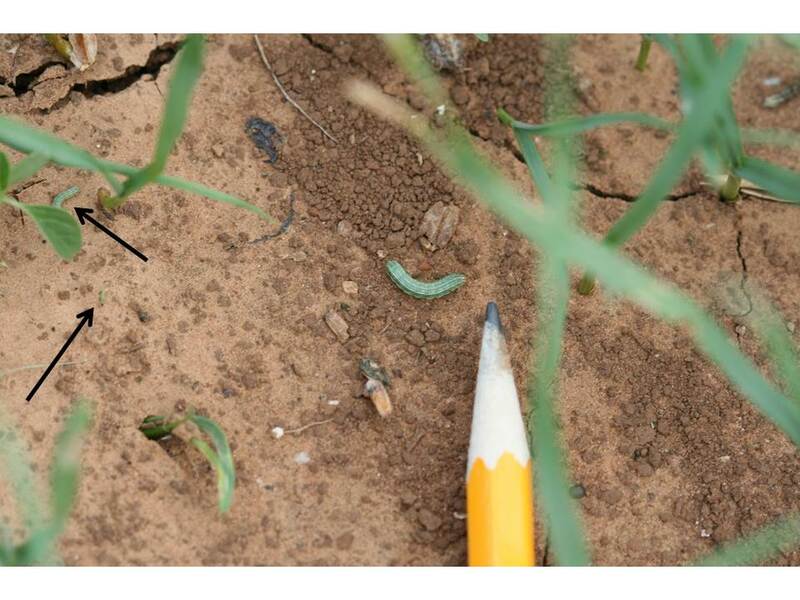 As far as timing, go ahead and spray when the 2 -3 armyworm larvae per linear foot of row is reached. This is not a problem that I would utilize preventative spraying, but once you hit threshold don’t delay treatment. Regarding which product to use, there are several products that work well for control of armyworm. I would consult the linked fact sheet for a listing of products and then check with your local ag retailer regarding prices. Jeff is correct. Eggs hatch in 2-4 days at these temperatures. 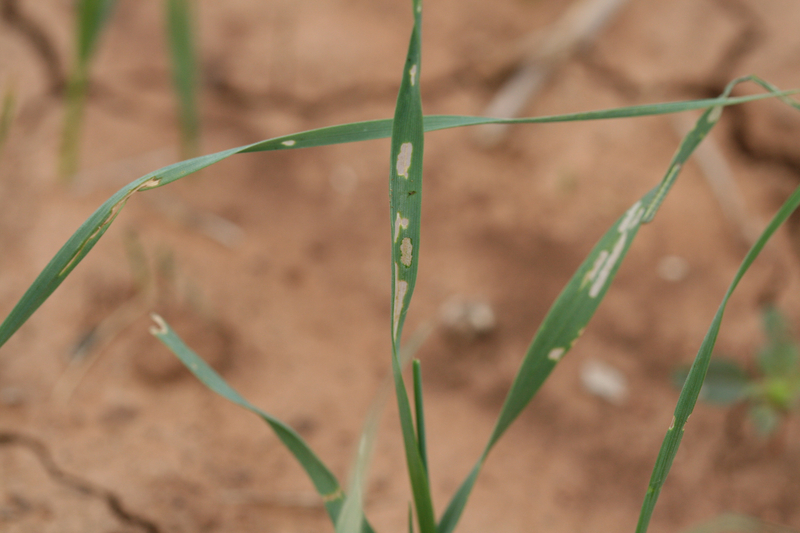 Egg lay from moths occurs over several days after crop emergence. The best advice is to wait until thresholds are reached and rely on residual activity of the product you use for control (probably 7-10 days of residual). That way, you will get some later hatched larvae. Don’t ignore the field after treatment; check regularly to make sure you obtained good control and that you don’t have a resurgence. Where in the state are they the worse? I have received reports from Payne county and Washita County. We have had several moth flights this summer beginning in early July, so I believe they are probably statewide (not predictable). The bottom line is to watch your fields after seedlings emerge and treat when thresholds are reached. Where across the state are you encountering threshold level populations? Statewide or in pockets? Heavier in the south? See above. Flights have been so widespread and early this year, that any field that is “green” will be at risk. The bottom line is to watch your fields after seedlings emerge and treat when thresholds are reached.